Imagine a meeting of professional architects and landscape designers planning the design of open space for the Ridgefield community. There’s nothing out of the ordinary about that--until you take a closer look and realize that students are creating the designs, and the professionals are paying close attention. Ridgefield School District’s 2017 Bond Project is in full swing with four construction projects in the works: the 5-8 schools complex, Ridgefield High School expansion, security upgrades at two elementary schools and the repurposing of View Ridge Middle School. 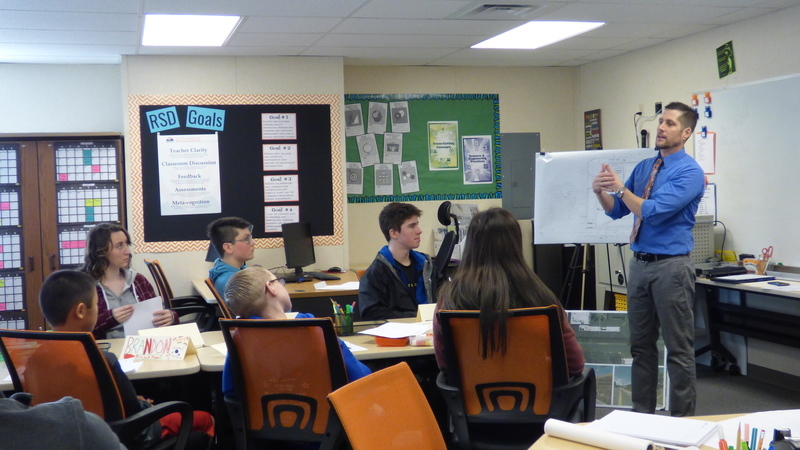 Recognizing that the repurposing project at View Ridge does not include bond funding to landscape the open spaces around the school, Superintendent Nathan McCann turned to the 12 students in his Superintendent’s Student Advisory Council (SSAC) for ideas. The council, which meets monthly with McCann, is comprised of students from Grades 4-12 representing each of the district’s four schools. 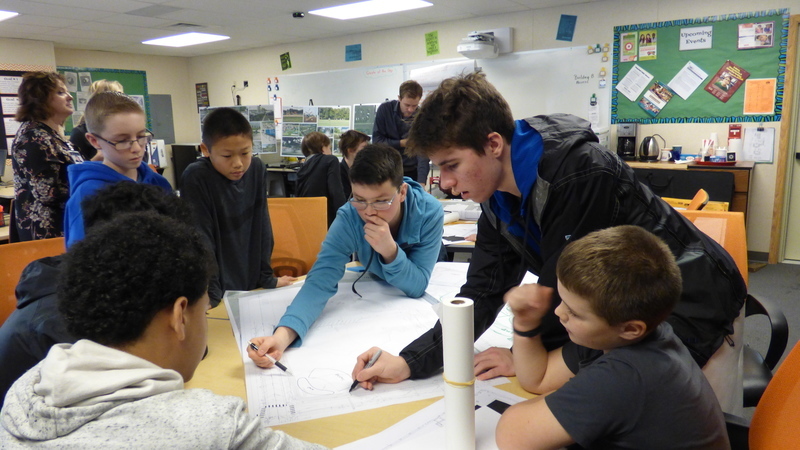 With the professional support of architects and landscape designers, McCann met with his SSAC students in January and presented them with a unique challenge: To design and construct a park in downtown Ridgefield utilizing the open spaces around View Ridge Middle School, relying primarily on the volunteer efforts of professionals and the Ridgefield community. The open space in need of landscaping includes the nearby baseball field, the school’s open space fronting Pioneer Street, and the hillside on 5th Street. 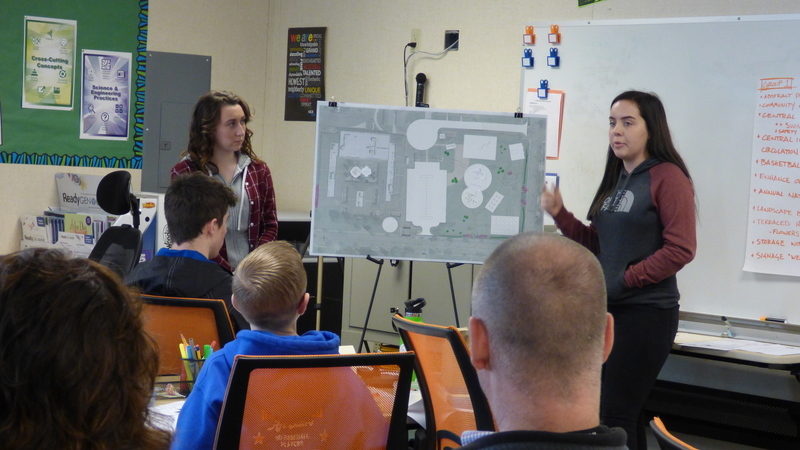 Not only were the students eager to tackle the project, they came up with some impressive ideas for the design team, including a community garden, a playground for early learners, and an amphitheater, to name a few. The kids were excited for the chance to provide ideas that would not only benefit their community but leave a lasting personal and positive legacy in Ridgefield. In the coming year, the students will continue to collaborate with landscape designers and architects to refine their ideas, and as their plans move forward toward implementation, get community organizations on board and increase volunteer support. Estimated completion of the landscaping project is January 2019.